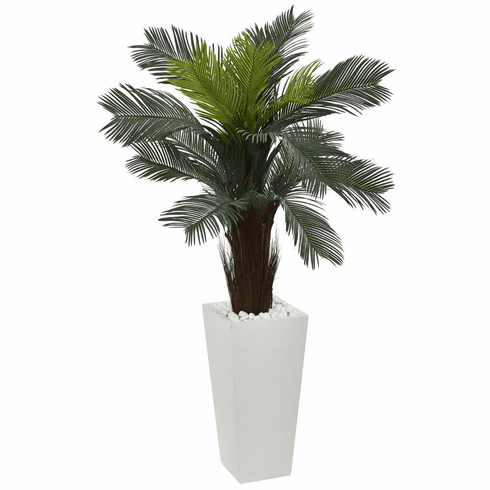 The incredibly realistic trunk and broad leaves of this artificial cycas plant make it a welcome summertime addition all year long. Plus, it's UV resistant, so it can be enjoyed on your patio or porch. Comes in a bright white tower planter with authentic river stones. Size: Height: 4.5 Ft., Width: 32 In., Depth: 32 In.